Book a room at Hotel Seril 2 and you'll be right in the center of Fethiye within a 10-minute walk of Calis Beach and Sultan's Aquapark. Calis Bird Sanctuary and Fethiye Kordon are also within a short walk of this business-friendly hotel. At the end of your day, return to one of the 46 rooms, where you can take advantage of balconies, minibars and room service. You'll appreciate the LED TV, and other amenities include safes and desks. 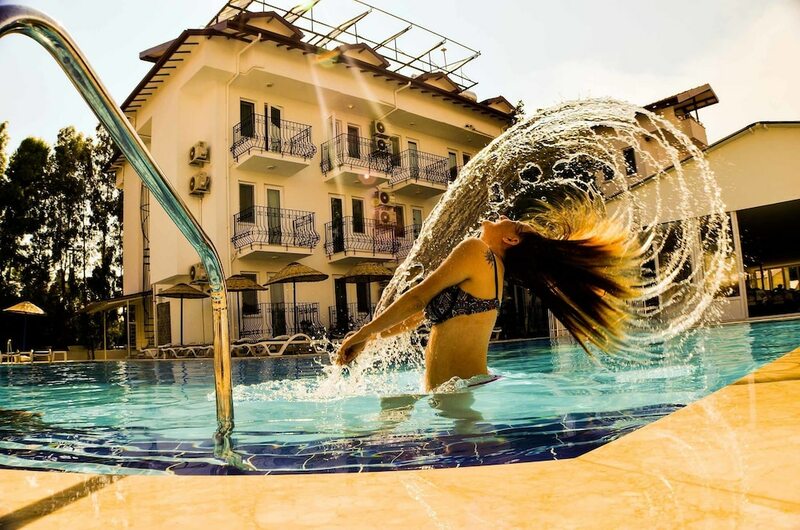 Providing a perfect base for exploring Fethiye, this hotel offers an outdoor pool, a children's pool and a garden. Sip on something delicious at the bar/lounge. A library, concierge services and multilingual staff are also available. Take advantage of the free WiFi in rooms and public areas, as well as a manager's reception.